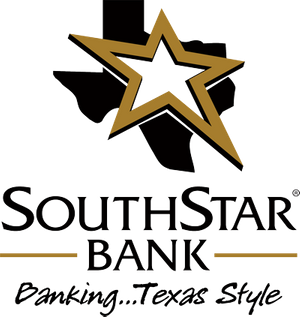 SouthStar Bank, S.S.B. specializes in residential mortgage, real estate and construction lending, operating 15 full-service branches across the Central Texas region. Built on a 100-year Texas heritage, the bank holds over $700 million in assets and focuses on community involvement and personal relationships. Decisions are made locally, allowing the flexibility to apply common-sense standards to products, services and loan requests. In addition to lending and traditional financial services, SouthStar Bank brings the latest conveniences to its clients, including online banking and mobile banking with check capture, debit cards with CardValet so you’re always in control, and a free worldwide ATM network. Member FDIC & Equal Housing Lender. NMLS# 410624.